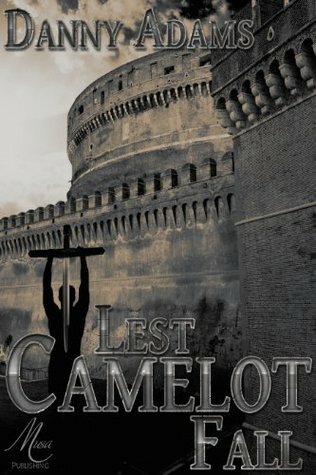 Having had a long-standing interest in myths and legends, I was immediately curious to see a book that dealt with the aftermath of Arthur’s death and the kind of things that had happened to Camelot afterwards. While there were times I became confused with some of the characters, especially some of the more minor ones, I quickly found myself drawn to Lucian. Despite not knowing all of his past at once (and that was a really refreshing change), I found him a character who was interesting and well-developed. I enjoyed seeing his interactions with the other Knights and I felt there were elements of real friendship and camaraderie between them. I thought there was potential to make Constantine a more well-rounded person… but I really disliked him for most of the book. The tension between him and Lucian came across especially well… though I would have liked to be able to see a bit more of Magnus. I didn’t feel he came across as a very well-developed character. There were some elements of information dumping in this book, but for the most part, I was able to follow the storyline. I was left confused about whether Merlin had any real magic, though… but I did think that his past was really interesting and gave a lot more depth to the storyline. It was good to see that a lot of the characters weren’t only good or only bad, but somewhere in between. Although Kay is often portrayed badly, I liked his characterisation in this book. I thought he came across as more likable. And it was also interesting to have the opportunity to see Lancelot and some of the other disgraced knights. There were a lot of really tense scenes through this book and although there were times I thought Lucian should have spoken out, I was aware of the danger and politics involved. There was a lot of scheming, though… enough that I felt my head spinning a lot of the time. I think it would be good to read a sequel to this book and see what will happen with the characters next. Although this did reach an ending, I feel like there’s a lot more of this book that could be told. I like that, when character’s aren’t strictly good or bad – much more interesting!